In the early afternoon of May 17, 1968, nine antiwar activists burst into the draft board in the Baltimore suburb of Catonsville, yanked open file drawers, and lugged the Selective Service files of hundreds of young men outside where they doused them with homemade napalm, set them on fire — and waited for the police to arrive and arrest them. 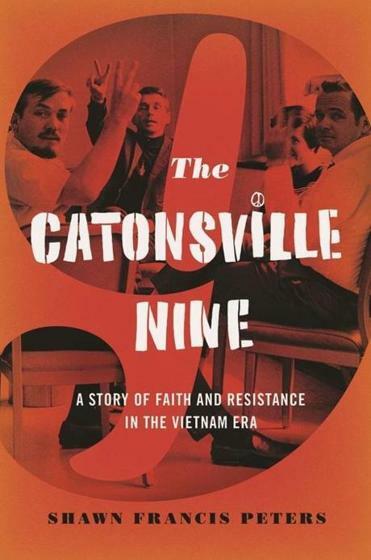 The group came to be known as the Catonsville Nine. All were Roman Catholics, the most prominent being two priests, Daniel and Philip Berrigan. Among the others were a married couple, Tom and Marjorie Melville, who had worked as missionaries in Central America; a member of the Christian Brothers religious order, David Darst; a nurse who had worked in central Africa, Mary Moylan; and several antiwar activists. In “The Catonsville Nine: A Story of Faith and Resistance in the Vietnam Era,’’ Shawn Francis Peters, a Catonsville native who teaches in the integrated liberal studies program at the University of Wisconsin at Madison, presents a comprehensive account of this high-profile event in the antiwar protest movement of the 1960s and ’70s, along with an examination of its aftermath and legacy. This readable history, based on eyewitness accounts, archival documents, and previously unreleased FBI files, recounts how the protesters came together, follows them through the storming of the government offices, chronicles their dramatic trial, describes the flight underground by the Berrigans and some other members of the group after the guilty verdict, and the group’s time in jail. Far from being a unique event, the Catonsville raid took place during “a time of keen social and political crisis,” as Peters puts it. There were the assassinations of Martin Luther King Jr. on April 4 and of Robert F. Kennedy on June 6. And a season of antiwar demonstrations on college campuses were followed by protests at the Democratic National Convention. Even amid such a period of upheaval, the Catonsville protest and trial received tremendous media attention. But then, as now, there remains some disagreement about its importance and impact. Daniel Berrigan believed the action “made it politically impossible to continue the war” — but the conflict would continue for another seven years.